The credibility of our Service Department is absolutely astounding. Specializing in stock and high performance Harley-Davidson®, we are equipped to make your Street™, Sportster®, Dyna®, Softail®, touring or V-Rod® suitable for you and your taste. We have top factory-trained technicians on duty during all business hours. We honor all warranty work and favor any recalls. We accommodate any type of problem that may arise with your Street™, Sportster®, Dyna®, Softail® or V-Rod® in an efficient, precise, and timely manner. The Cowboy Harley-Davidson® of Austin service and motorcycle parts shop is dedicated to keeping your Harley-Davidson® motorcycle in mint condition. As such, we offer every Harley® service, riders in Austin could possibly need - from 1,000-mile basic service to 20,000-mile major service and everything in between, including motorcycle repair. And, as we know firsthand the discontent that comes with time away from the big slab and country roads, you can rest at ease, Cowboy Harley-Davidson® of Austin will do everything in our power to get you and your motorcycle back on the road, faster than you thought possible. Set up your next appointment today with our Service Department by using our convenient online scheduler. Rather do it yourself? No problem! 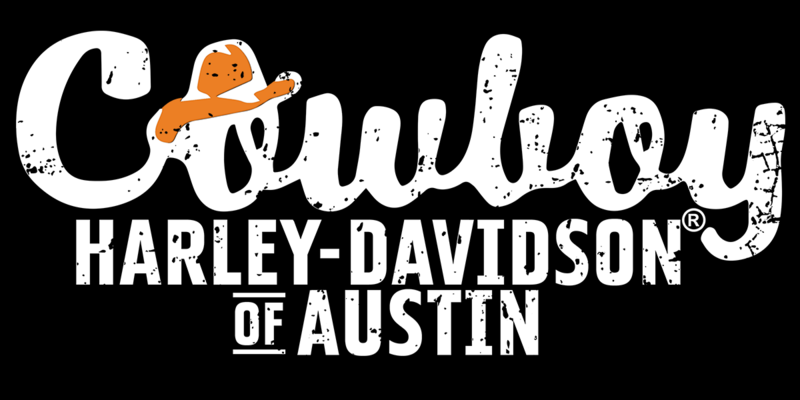 Cowboy Harley-Davidson® of Austin won't blow exhaust in your face, trying to convince you otherwise. We're here simply to help riders who are too busy or just don't want to perform routine Harley® service and repairs themselves. However, those handy with a wrench should know, all of the Harley® parts and/or accessories you could ever want (i.e., windshields, wheels, rider seats, mirrors, hand grips, shifter pegs and engines)... you can get right here, at 10917 South IH 35 Austin, TX 78747. Book a service by filling out the fields below!